These are just a few of the many photos taken during our various Valley Daffodils events! For more information about events, please visit our events page or contact Ceri Hooper at hello@valleydaffodils.co.uk or call 07815845196. Follow Your Dreams is a national charity operating in England and Wales that inspires children and young people with learning disabilities to follow their dreams. 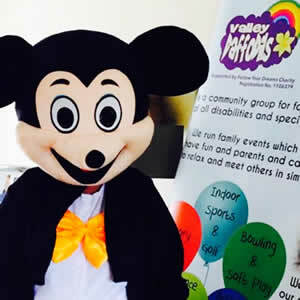 We are pleased to announce that Disability Sport Wales are supporting Valley Daffodils. We look forward to working together and providing various sporting activities. Planned dates to be added soon!